Many lament the decline in bipartisan collegiality in our country, and for good reason. Scanning the headlines, it seems fewer leaders are able to rise above partisan interests to find solutions for important policy challenges. However, there’s no ideal more American than the pragmatic search for solutions to the challenges that vex us. That notion still burns brightly in so many places in this country. Over the course of more than a decade, a network of policy innovators focused on improving education has grown from a nascent cabal to a robust national network, driven by that very ideal of cross-ideological policy innovation. At its first meeting, 15 heads of advocacy organizations from 12 states joined with four national policy organizations, united by policy ideals that reached across conventional ideological divides. 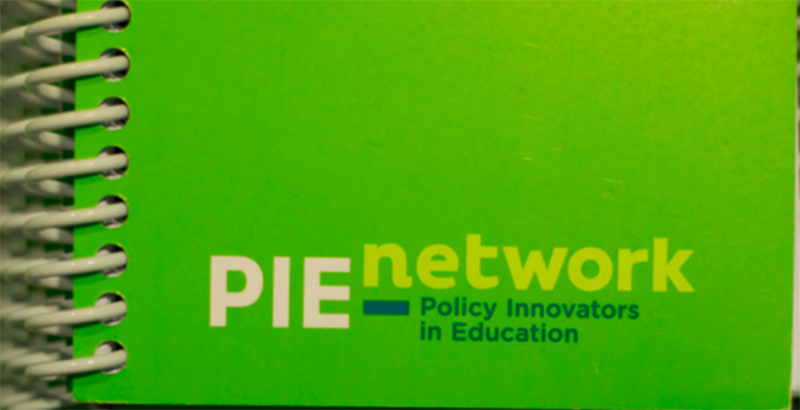 Today, the PIE Network — Policy Innovators in Education — connects 109 member organizations, including 87 state-based advocacy organizations from 35 states and Washington, D.C., along with 22 national partners. It’s been my great privilege to have cultivated this network since its first meeting. When it comes together this fall for its annual summit, it will be the 12th such gathering — and my last as executive director. It’s time for new leadership to imagine the next chapters of the PIE Network’s story. Planning for succession is an essential task for any organization. Seeing the baton passed to the next executive director is the last box to check on my to-do list for ensuring that the PIE Network remains a vital force for improving education across the country. I aim to leave gracefully, supporting a stable transition. The PIE Network, its board, and the team that sustains it are all stronger than ever, making that goal an easy one. As I reflect on the network’s history, I know that the work of building and sustaining it has never been mine alone. The PIE Network — indeed, all networks — are co-creations requiring shared values and goodwill from all corners. The values and commitments, including that founding notion of cross-partisan collaboration, have been widely shared since our first meeting in 2007. In the years since, leading advocates and policy researchers have worked to find smart policy solutions and reflected on lessons learned in policy implementation. As a result, the network has spread good ideas and, as important, blunted the unintended consequences of rash policy. It’s been my honor to work with so many leaders who bring such integrity and intention to their work in communities across this country. The best advocates know that sustained policy change is possible only when working in collaboration with others. In every meeting, we have discussed the art of building coalitions, the distributive leadership that strong coalitions entail, and the power of sharing credit generously. Most importantly, we’ve shared the values of authentic community engagement, discussing what it means to build solutions with educators, parents, and community leaders. Among its members, the PIE Network brand has become shorthand for candid reflection. Since our earliest meetings, those who unite around our table have known that unpacking our best-laid-plans-gone-awry is essential to finding lasting solutions. Another important ingredient is that, in this age when authentic dialogue is too often undermined through attacks by tweet, our deliberation happens in meeting rooms, respectfully, face to face. It’s been my great privilege and honor to work with so many visionary, committed leaders in weaving the PIE Network. When I step back later this year, I’ll do so confident its work will continue. No individual leader galvanizes a network, and I will be excited to see what new chapters emerge as a new leader joins his or her talents with the passion and commitments shared across the PIE Network. I have every confidence the next chapters will be some of its best. Suzanne Tacheny Kubach has been executive director of the PIE (Policy Innovators in Education) Network since its founding in 2007.